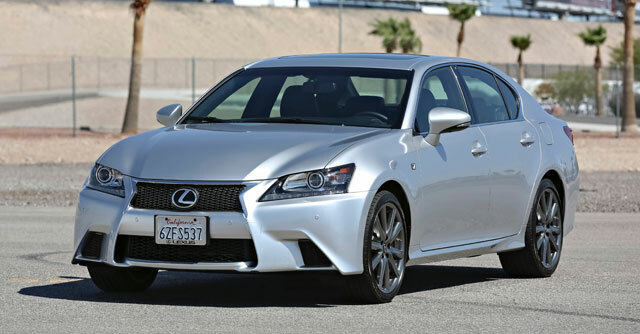 Lexus has announced the 2014 model year GS 350, which will now be equipped with the same eight-speed transmission seen on the IS F & new IS F SPORT. Luxury Package changes: LED foglamps, Superchrome finish for 18-inch wheels, and the rear armrest control panel display adds display option to view radio station and song title information. iPhone SIRI Eyes-Free system from Apple, which lets you call contacts, select and play music from iTunes, and use Apple Maps turn-by-turn navigation. These improvements are an impressive update to a model introduced just last year, the eight-speed transmission is exactly what the GS needed. Nice to see Lexus applying the Kaizen practice of “continuous improvement” at such a fast pace.